Welcome to the Department of Emergency Medicine and the medical student rotation at the Kaiser Permanente San Diego Medical Center! This four-week elective is open to all third and fourth-year medical students at accredited allopathic and osteopathic medical schools. The faculty at the Kaiser Permanente, San Diego are dedicated to providing an excellent educational experience for medical students. Under the direct supervision of Board Certified Emergency Medicine faculty, students will rotate in the largest and busiest Emergency Department in San Diego County. The student will function as an integral member of the treatment team. Students will have the opportunity to rotate through our state of the art simulation center. 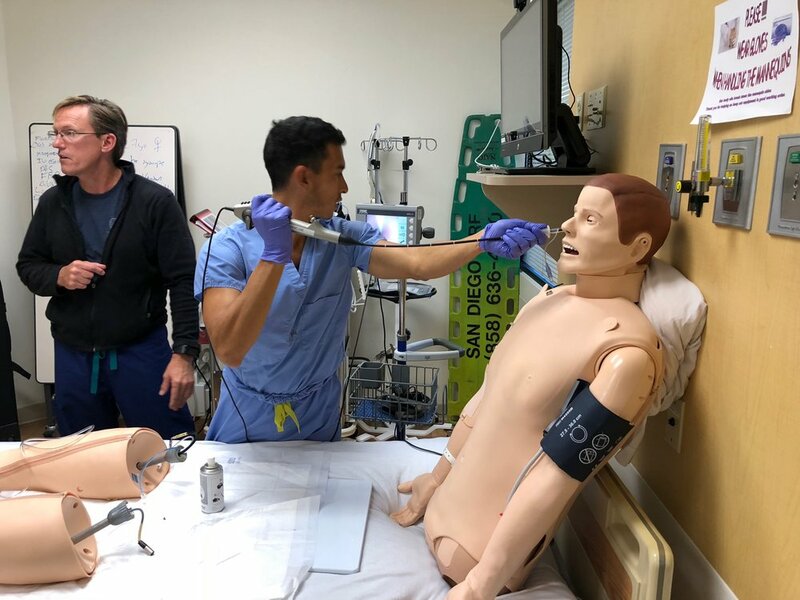 At the San Diego Simulation Center of Excellence, students will practice ACLS and PALS protocols and fine-tune their skills in airway and vascular management. Develop skills to multi-task and prioritize patient care. Learn to diagnose and manage urgent and emergent conditions. Improve ability to assess undifferentiated patients. Present history and physical in a concise & orderly manner. Develop an appropriate differential diagnosis. Interpret results of common diagnostics and tests. Develop an evaluation and management plan. Communicate effectively and professionally with patients and staff. Medical Students must submit their application in its entirety through VSAS. Our program can be found under Kaiser SCAL – San Diego. Applications accepted as of March 1. Applications will be reviewed between March 1 – April 20 for preferential consideration.